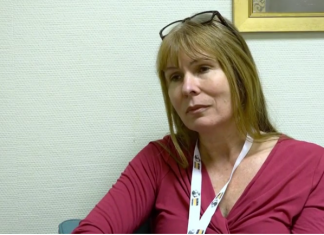 A couple from Russia has been arrested in Malaysia due to child abuse allegations. The Russian male was seen swinging his 4-month old baby girl by her feet, lowering her down to between his legs, then raising her over his head, and throwing her into the air repeatedly. The Russian couple, aged 27 and 28, are tourists who are busking their way through the region, asking for money for their street performances. 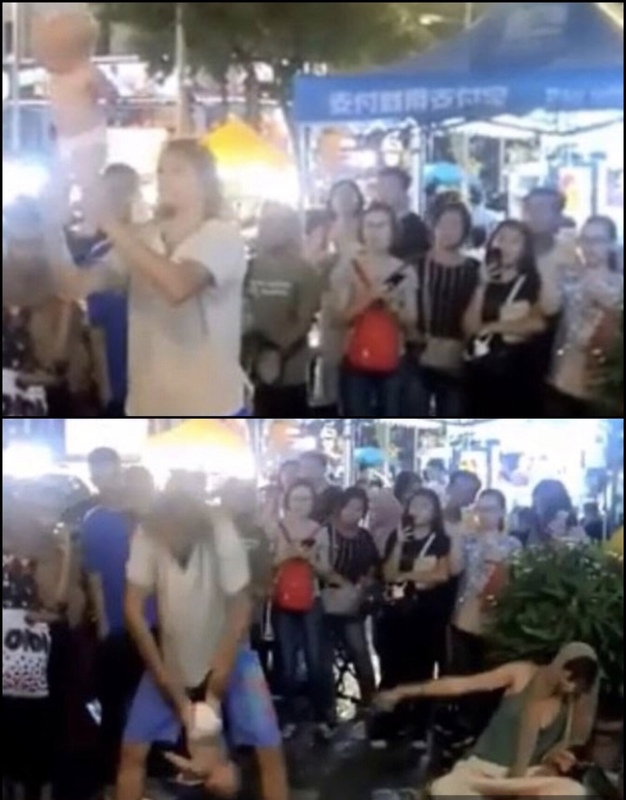 One netizen took a 90-second video of the act and uploaded it to Facebook, where it recently went viral, gaining 31,000 views within a few days. A group of Europeans can be seen surrounding the parents as they perform with the infant, and chanting along. The uploader described the video as an “irresponsible act that can literally cause injury”, and asked the police to investigate the matter. 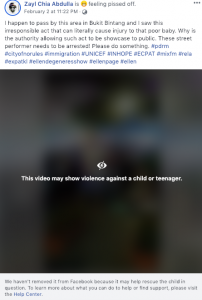 While the video is hidden behind a screen with a disclaimer “This video may show violence against a child or a teenager,” Facebook has chosen not to take it down because “it may help with rescuing the child in question”. He assured the press that the child showed no injuries and seemed unhurt. Commenters on the video have said that such gymnastics involving very young children are common in Russia, where some believe it to aid in a child’s development. The practice is known in Russia as baby dynamics yoga, or baby swinging yoga, and is also considered by some as controversial.